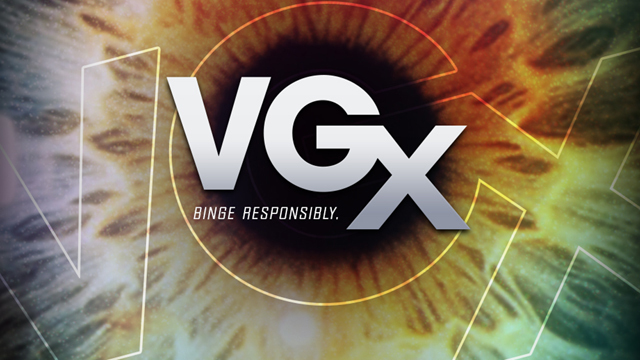 So VGX has handed over the number one prize in it’s award show arsenal. The crown has been presented, the winner now regally ordained, having battled it’s way to the top, defeating, closely no doubt, the other fine nominees that filled the category, and oh, what a fine category it was. The other more than worthy competitors that filled the most prestigious category of VGX were some stunning games that graced the shelves of our fine gaming stores this year, and whose wondrous storylines, game mechanics, beautiful graphics, or any combination of the above provided us with many hours of joy this year. These fine competitors were; The Last of Us, Bioshock Infinite, Tomb Raider, Super Mario 3D World, and the now crowned winner Grand Theft Auto V. All fine competitors to be sure, and all titles that the developers had put much hard work into, after all, The Last of Us’s creators took home the title of ‘Best Studio’, and Bioshock Infinite & Tomb Raider were both fantastic revivals to their respective series’s, Bioshock Infinite’s change of scenery in particular providing a fresh,new, exciting setting. And yet, everywhere I look, I see nothing but hatred for Spike TV’s decision. Comment sections on gaming news sites and social media have been showcrasing protest that Grand Theft Auto V has claimed one of the many Game of the Year crowns that it will take away this year already. And it is this reception that I am most interested in, because in reality, whether you consider yourself an expert on games or not, whether you belong to a well known journalistic outlet for the gaming world, such as GameInformer, or IGN, or even VGX’s hosts themselves, Spike TV, the title of Game of the Year comes down to a subjective view of an entertainment outlet, what it really comes down to is a group of editors sitting down in a news room, and debating which game deserves the title based on their own opinions of the nominees, their subjective view of the games features, merits, and generally their entertainment value. But to digress, what is most interesting about the reception to this award that has been issued is indeed the fact that viewer reception seems to be of a very limited set of view points. These view points are; That GTA:V fully deserved it’s title, that GTA:V didn’t deserve it’s title, or two sub-views of the above, those that say anyone who says GTA:V didn’t deserve it is a hipster struggling against the currents of the mainstream, or that anyone who says it did deserve simply refuses to listen to the logic of the fact that their chosen nominee is better in any clear way. That, and people who simply accept the view that it is afterall a subjective view of an entertainment product. These reception views are interesting, because all of the arguments seem to be coming from somewhere valid, and everyone seems as hostile to the opposition as the other. Neither side of the debate seems to be able to comprehend how anyone could support the choice that is not their own. And, whenever anyone raises an argument, it seems that they only throw the two sub-views mentioned above as their only rebuttal. It seems to boil down simply to an inability to respect one anothers opinion, and using the two sub-views previously mentioned as their only way to rationalise how anyone could see it from a point of view opposite from their own. Congratulations to Rockstar and GTA:V for claiming their title. The Last of Us was easily my game of the year, and the best game I have ever played, but GTA:V was a masterpiece of it’s own, with an innovative new game mechanic involving character switching, and many other excellent aspects of the game, I have no doubt that both will claim more Game of the Year titles later this month and next.